Don't blame it on the sun shine, don't blame it on the moon light, don't blame it on the good times, blame it on the boogie. You wouldn't suppose the Police Integrity Commission is just kinder letting of some steam in that big pressure cooker on government hill would you? Super Rat? M5? M11? K8? N2? So I trust that some people who, with the photos and guns guessed that a jury would quickly establish a case against a profiled person whom, you just had a picture and a history of. Common knowledge? The government knew their victims would take the blame. Not just chess in court, 'moving around the pieces', but 'putting false evidence, or not enough evidence before the jury." The gap between Lets Dance and the government is government wants to stand behind a couple of cops leaching out nonsense, that would otherwise satisfy the curiosity of the citizens about discrepancies in government principals and the need to let off some steam. These innocent people would, take the blame. In the interest of our government, matters that are detrimental to income like the Tourist Industry. (Ivan Milat), or the Fabric of Parliament (Phuong Ngo) and the Newman case. The Hilton bombing (Tim Anderson) these cases presented listeners and readers to endless misconceptions about extraordinary events that were deeply entrenched in the Australian way of life and had to be solved according to the government of the day. After all a picture tells a thousand words it's alleged? And prior that some gun tricks that I never seen on the old western movies. Perhaps the picture I remember the most is Ivan Milat standing there with his gun. The picture in the wall of the gun, cleverly hidden away in the cavity and shown ever so much by the media we were seriously mind set. How long did it take Clive Small to chip out the cavity? Ask him! Now how about that precedent that names offenders so that people know whom it was that offended them? Super Rat? M5? M11? K8? N2? Why do people who have been offended need to know who offended them? Why do other people who are not police, prison guards or politicians get labelled on every opportunity to sensationalised and warn the general public of their danger, especially when this is the greatest danger? (People Of the Lie). People parading around under the guise of good honest cops who have the very best cover or cloak in this case of darkness. Will they get let off? Lets dance, let's shake, move your body down to the ground. Yet another NSW detective ''rolled over" and admitted his corruption yesterday, and in the process revealed a saga of dirty dealings, dirty money - and even dirty laundry. 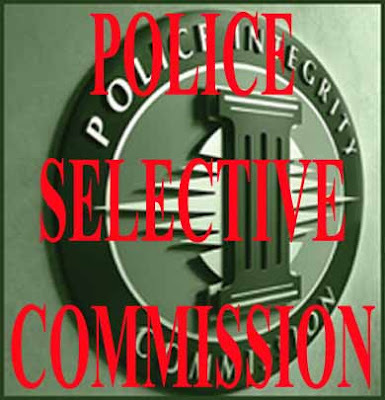 Ed: The Police Integrity Commission is just a scam and another goverment insurance policy. They only take on cases of notified police corruption that they want to? They usually take up cases whereby police won't do Noble Cause Corruption and have been caught with their hands in the till. What should really happen is that they should take up 'all cases,' all complaints against police, and especially those notified by the general public or people that have complained to the Ombudsman, then they could be justified as a watchdog, instead of just police bum boys who investigate themselves. 2,500 crooked detectives? Or a corrupt Government? Evan Whitton: Either two things occurred. If you said you didn't join the police force to extort money from working girls, your papers were marked 'not suitable for plain clothes' and you were sent back to uniform. Don't trust those who cannot prove themselves with the little amounts of trust you give them. Just because they have a letter of perceived trust doesn't mean they can be trusted. Process corruption, perjury, planting of evidence, verbals, fabricated confessions, denial of suspects rights, a solicitor to induce confessions, tampering with electronic recording equipment, framing. Generally green lighting crime, and I say Murder, including the kids who overdosed on heroin. No doubt. In line with the current climate of police corruption and the demise of the reform unit set up by Wood, these facts ought to have been a good reason to leave Moroney out of the package as Commissioner. These are serious invasions of privacy and draconian laws? Where are our democratic soldiers, the lawyers and the barristers who need to take on the government in the courts? Are they plastic? Or to busy feathering their nests? Or have they been cleverly purchased by this black government. Drug test police and politicians, and have the tests independently accessed. Come in spinner? Or Come in sinner? "You don't have, in my view very vigilant processes. I suppose it's akin to the problem of corruption within the police," he told the ABC radio. " People say there's corruption with the police (but) do you get the police to investigate problems within their own ranks? I am disturbed by Governments 'actions' in relation to shuffling the police service. Clive Small seconded into Parliament like a cocky in a perch. A breach of the fundamental Separation of Powers Doctrine does not in my view allow the thought of intervening, planning, or shuffling to stack the deck of our police service. The one that suppose to be autonomous according to Lord Denning. Where the Parliamentary Secretary can ask the commissioner of police to 'report' then sack him if he is not satisfied with such report. View events in the NSW Police Force since the Wood Royal Commission began in 1994. 1994 May Justice James Wood is appointed Commissioner of the Royal Commission into the NSW Police Service ('WRC').